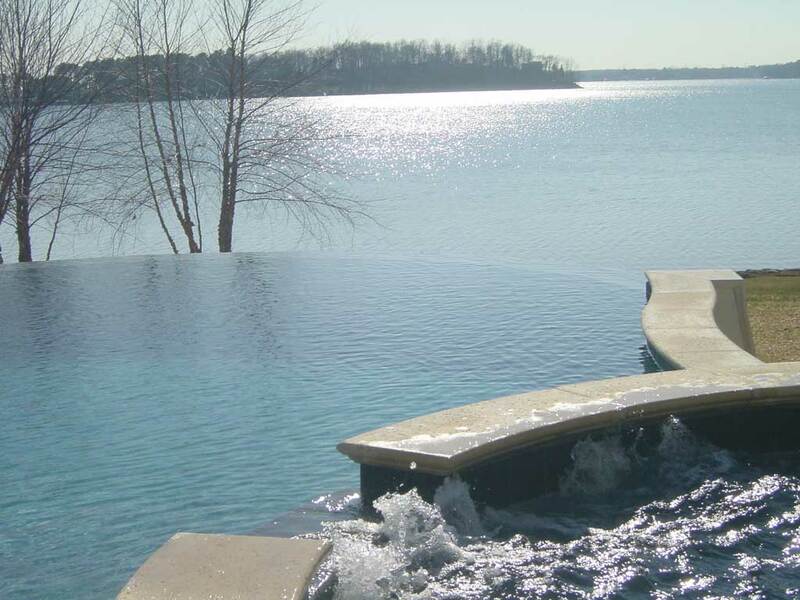 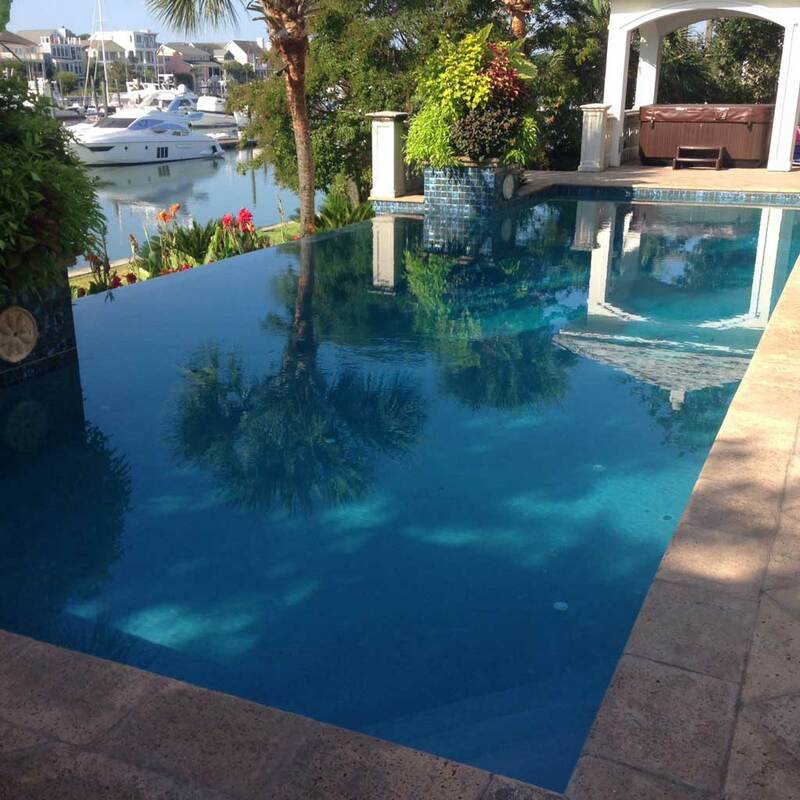 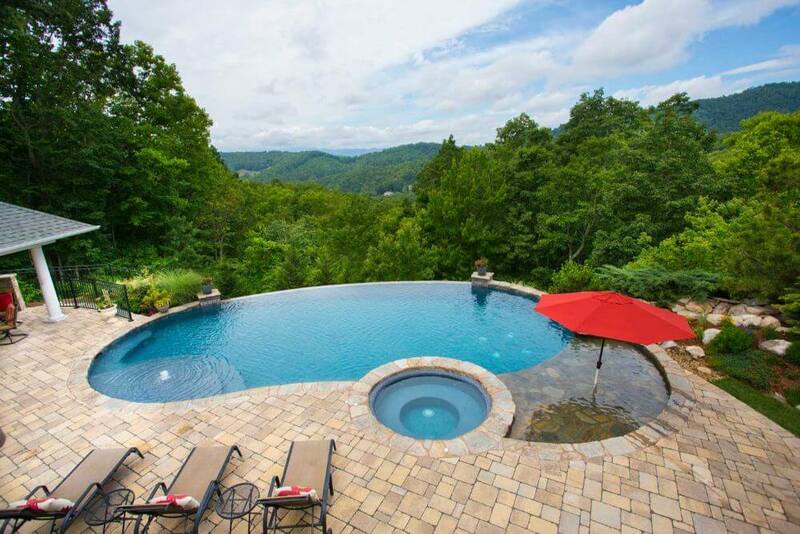 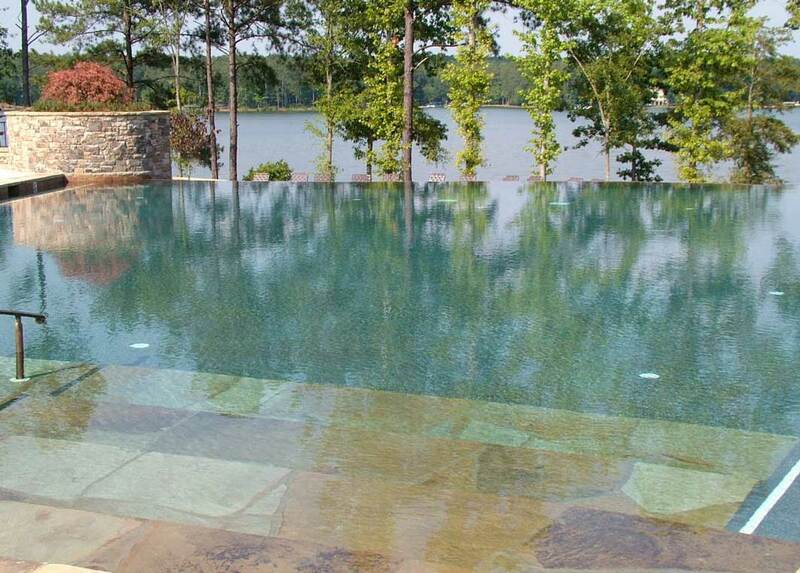 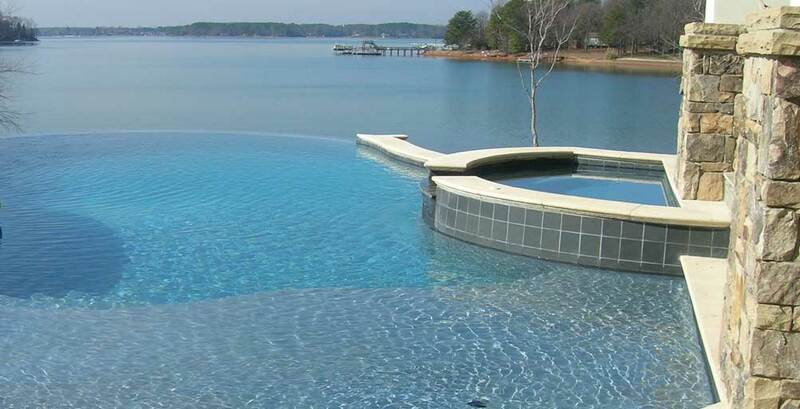 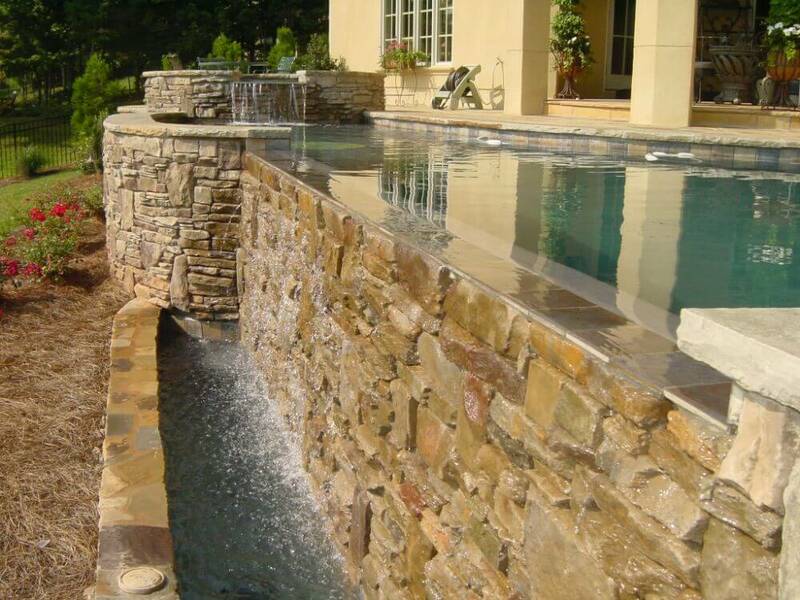 Here are some of the infinity pools that we have built for our customers. 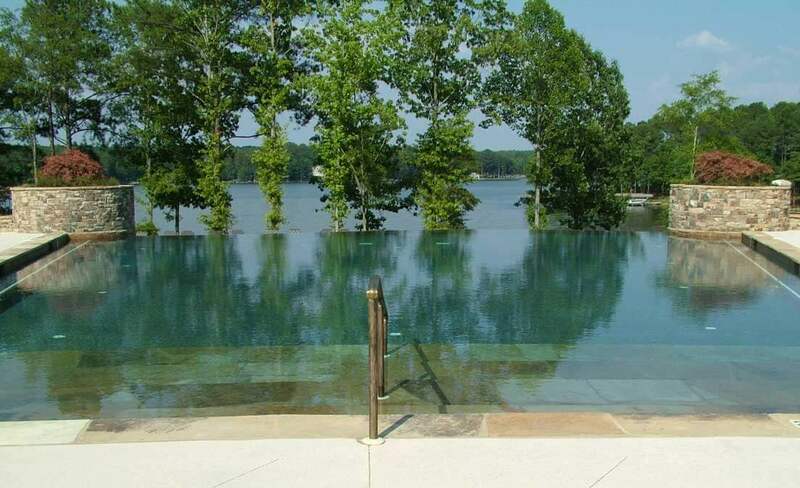 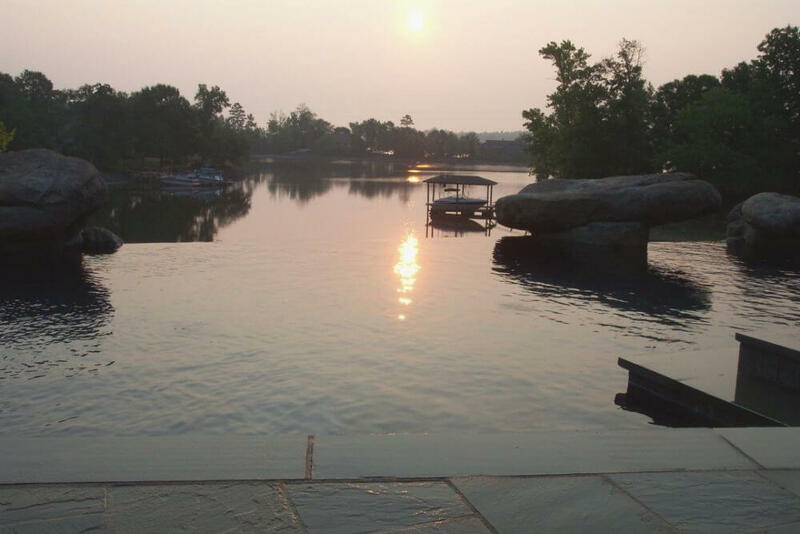 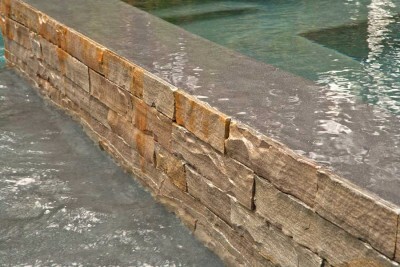 An infinity pool, as you see in these photos, has a large “false edge” – a wall that is at water level to create the illusion that the pool continues on forever. 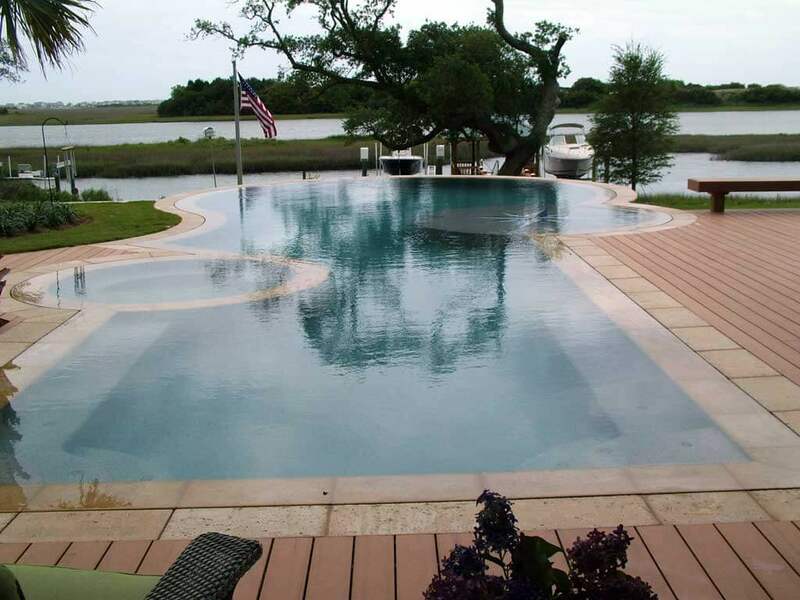 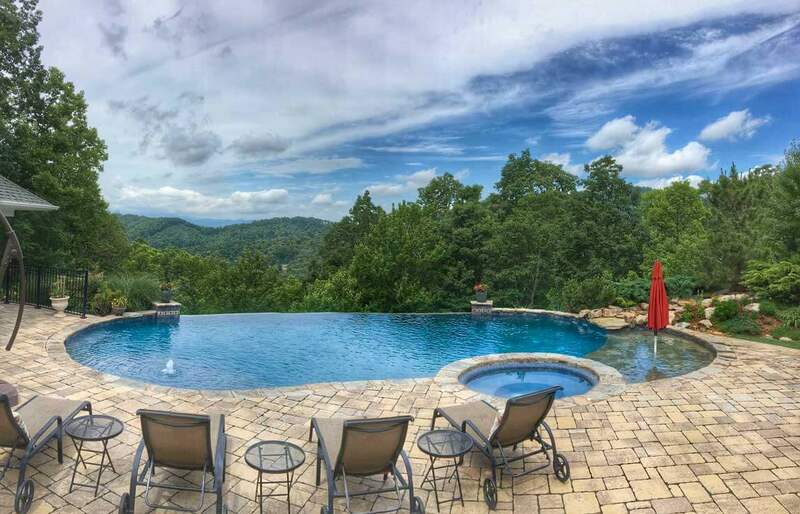 These designs are especially a great option if you have an incredible view in your backyard, much like some of the photos you see below.